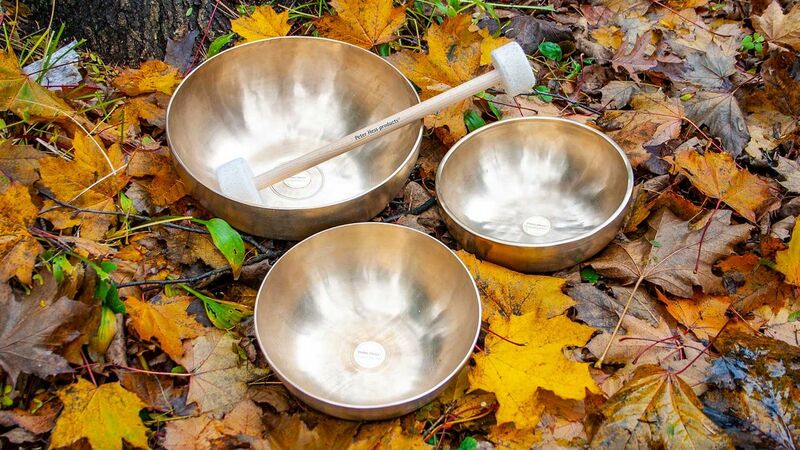 Sound massage with singing bowls is a sound therapy where singing bowls are placed on the dressed body or into the health aura and tapped gently with a felt mallet. 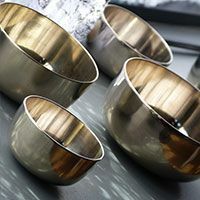 The calming harmonizing sounds as well as the gentle vibrations of the singing bowls induce a feeling of well-being and a very effective deep relaxation ("sound-based relaxation"). 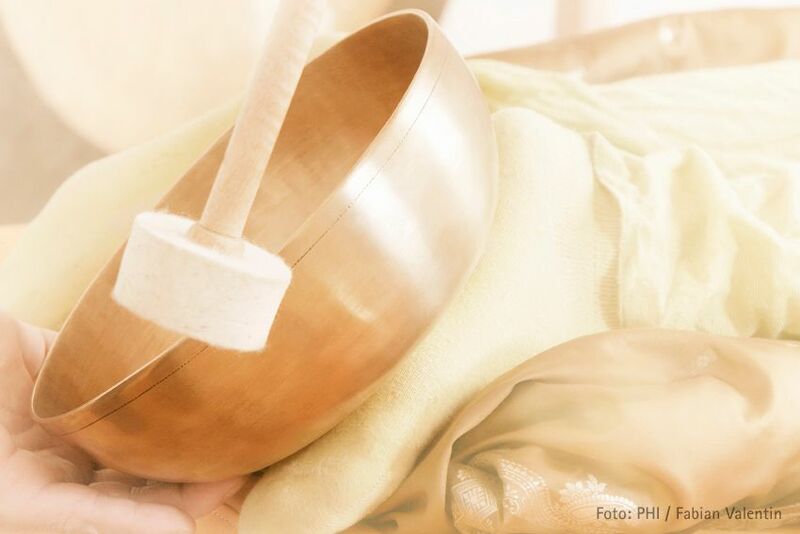 With people in good health sound massage will support the development of their inner harmony and provide them with energy and strength for their daily tasks. Creativity and productive energy will receive new impulses. With physical, mental and psychological issues, sound massage will help to bring relief from pain and problems that cause daily stress, worries, and anxiety.​ Please allow 75 minutes for session. This includes intake, session, integration. 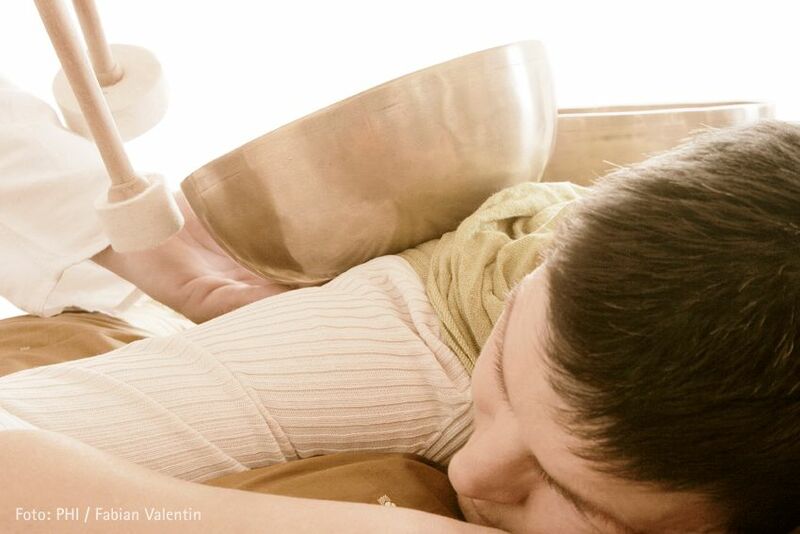 During this training module, we will build upon the basic applications of the Peter Hess ® Sound Massage. The focus of the Level I training course was on the physical body, during the Level II training course, we will move from working on the body to the bio-energetic field, also referred to as the aura that surrounds our body. "The training was by far more powerful than I had ever imagined it would be. Personally I have cleared blockages from my heart and feel open and in touch with my truth. I am more confident and so blessed to be able to share the Peter Hess Sound Massage Method of less is more!" "Well taught, from the Heart...Totally prepared, knowledgeable, relaxed, patient and thorough. Very well taught. Great Environment." This Training is profound in "Less is More", the confirmation of techniques and being able to be in a professional "Real Setting", working as a practitioner. This added an aspect I think is a great piece and so important to integrate everything and solidify within; all the elements involved. Giving us space to experience giving a sound concert instilled confidence to just "Let it Flow" and "Shine our Light"!" "Very nice approach to enhance learning with multiple modalities utilized throughout the Level I training. Relaxed, Calm and comfortable atmosphere. Thoroughly enjoyed the class & Gina's welcoming presence and approach"
"Thank you - easy manner of instruction that made sense and clear understanding."